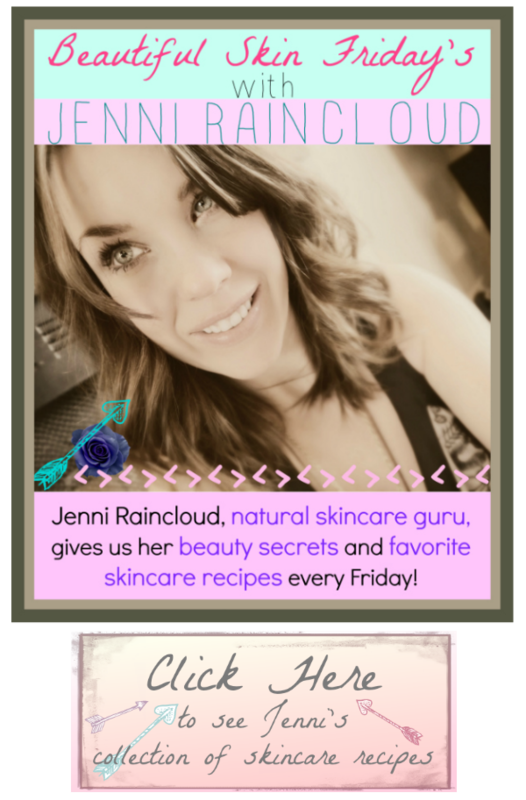 It’s another edition of Beautiful Skin Friday’s with my very favorite all natural skincare guru, Jenni Raincloud! Her skincare knowledge and recipes and have completely changed my skin for the better. 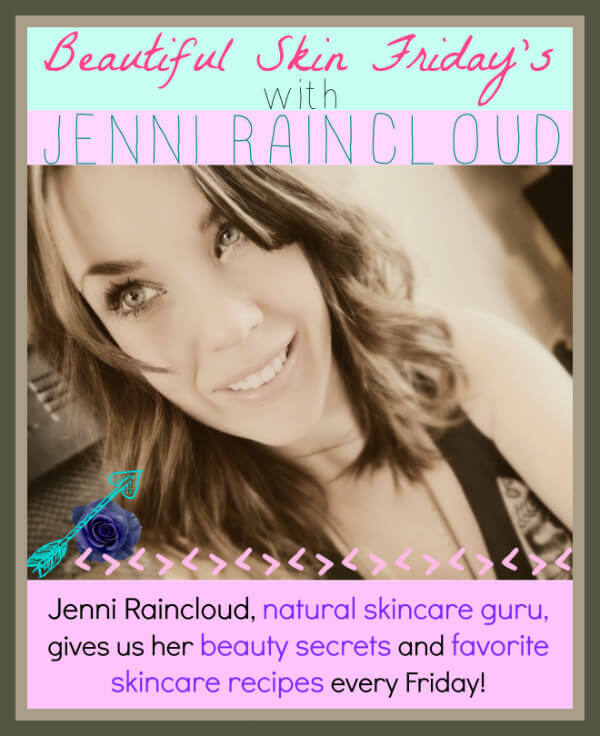 I can’t say enough good things about Jenni and her blog so I hope you’ll visit her at www.jenniraincloud.com so you can get yourself some beautiful skin, too 🙂 Enjoy her stretch mark serum recipe – this is great for all those mommy to be’s and does a fantastic job at reducing scars, too! 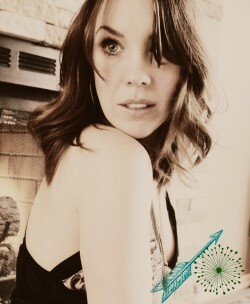 Jenni here! 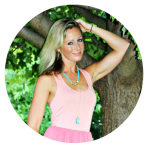 It’s Beautiful Skin Friday and I’m back for a quick but seriously effective recipe for preventing and fading stretch marks and scars! I hope you all enjoyed last weeks Firming Eye Cream-I’ll admit, that one was a tricky recipe. This one will feel like a breeze-super quick and simple! 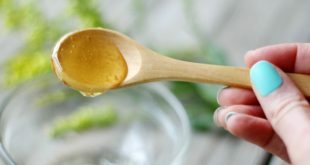 This recipe, while geared towards stretch marks, is also great as a thoroughly moisturizing body oil. Winter can really dry the skin out and this oil is sure to quench the thirstiest of skin! A while ago I shared a recipe for belly butter. It was full of “food” for a stretched out tummy. 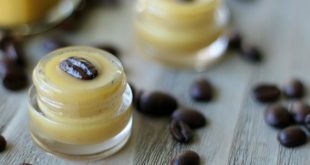 This recipe will be similar but instead of a buttery consistency, we’re going to make an oil and store it in a spray bottle for easy application! 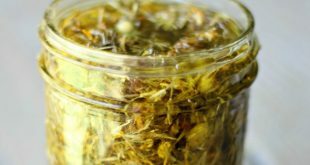 Rosehip Seed Oil is a highly effective ingredients in this recipe. It has the ability to heal and lighten stretch marks and scars. Rosehip Seed Oil is considered one of the best carrier oils for preventing and/or reducing stretch marks. 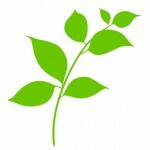 Rosehip Seed Oil is extremely moisturizing. Due to its natural content of trans-retinoic acids and a complex system of unsaturated essential fatty acids, Rosehip Seed Oil firms the skin, removes stretch marks, and keeps the skin well hydrated. It also contains many minerals that help the skin regain elasticity. “Those considering using rose hip oil for pregnancy, whether to reduce hyper pigmentation and stretch marks or ease dry skin, should consider the following evidence. In a study of 20 women ages 25 to 35 conducted by Dr. Bertha Pareja and Dr. Horst Kehl, daily applications of rose hip oil were linked with wrinkle reduction and the fading of sun-damaged skin. In addition, all subjects of the study, conducted at the Faculty of Chemistry and Pharmacology at the University of Chile in the 1980s, reported a “visible improvement” in skin appearance. Jojoba Oil mimics collagen and has a molecular structure similar to sebum. It is full of vitamins and minerals, it is very easily absorbed and has a long shelf life. Jojoba balances and protects your skin. Vitamin E oil can be used to prevent stretch marks as well as to get rid of existing ones. It is full of vitamins A and E which encourages elasticity of the skin. As the skin becomes more elastic, it can be stretched more easily. Vitamin E can be found in many skin care products due to it’s anti aging and regenerative capabilities. Neroli Essential Oil is a powerful oil that helps reduce the appearance of stretch marks and scars. It is cicatrisant which means it has anti scarring properties. Neroli oil also stimulates circulation and encourages cell regeneration! Lavender Essential Oil & Myrrh Essential Oil are both extremely healing and calming and can nourishes broken, cracked skin. Lemon Essential Oil can lighten the appearance of scars and stretch marks. **For my body oil I used a 4 ounce glass bottle with a spray top. (like THIS) Essential oils can react to plastic so it is preferable to use glass for your DIY skin care projects that involve essential oils. 1. Mix all ingredients in your glass container, shake and use! It’s that simple! If you are pregnant, I would use this spray two times a day-a.m. and p.m. You will want to take it to the hospital and continue your day and night routine for weeks postpartum. Stretch marks can form after you’ve given birth due to the extreme change to your skin! Don’t forget to apply this spray to your chest as well-breast tissue will go through changes on an hourly basis in the beginning months of nursing! If you are not pregnant and trying to improve your current stretch marks, you can use your oil once a day. Please note that while this concoction is very potent, some people take weeks and even months to see results. Everyone is different, so don’t give up! Damaged skin needs extra nourishment to heal-your skin will feel the difference immediately. As women, our bodies were meant to stretch. When stretch marks form, these little lines should be our badges of honor. After all, we have the ability to grow life inside our body! Our society strives for physical perfection and that makes it so hard for women. From one woman to another-whatever imperfection you are fighting, remember to LOVE yourself! 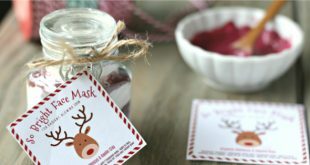 Check out my blog for this weeks posts on a Super Detoxing Bath Soak and DIY Vaseline! Have a great week everyone! See you next Friday! P.S. 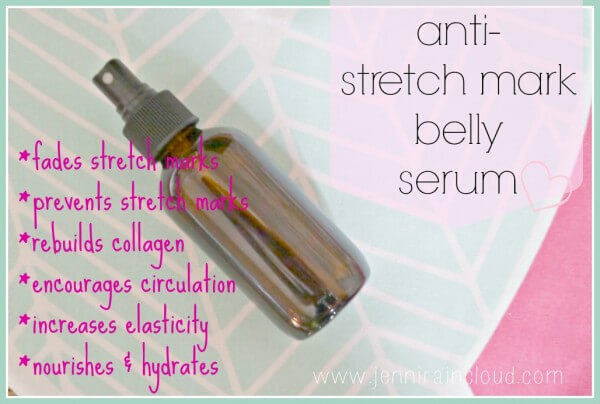 I offer a similar version of this stretch mark serum in my Etsy shop-You can find it HERE! I’m 43 and had 4 kids. My youngest is 10 and I’ve done nothing to help my poor skin for ages! Would this help even old stretch marks? Hi Meredith! 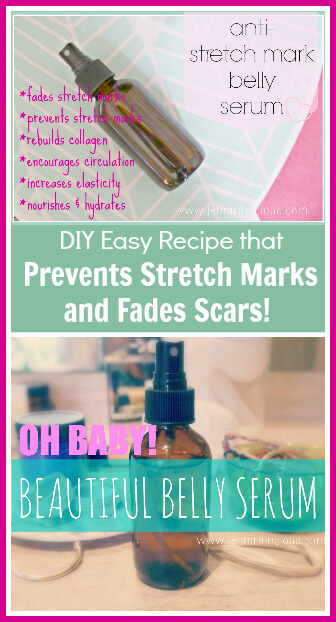 Yes, this will help nourish and fade old stretch marks! Give it a go!! Kathy, this serum would be excellent for your face and neck. I would omit the lemon if you are going to use it in the morning though-Lemon can make you extra sensitive to the sun! Although I love this recipe, the ingredients are SO expensive! I understand why, but wondered if there was a serum already available to buy outright. I used to use lavender oil on my skin all the time, but I read recently that it causes cell death and irritation (in Don’t Go To the Cosmetics Counter Without Me). This scares me a bit, and I was wondering if you knew of any studies that refute this claim. I’ve used it on burns with good results and I know it has a wonderful traditional reputation, which is almost, but not quite enough to help me trust it again. Jessica-that’s crazy!! I’ve never heard that and personally would ignore it. Lavender is proven to be calming and soothing. It is awesome for so many different things-you can google it and find loads of info. in favor of it. I’ve never heard anything bad about it till now! Hello Jeniffer, I will like to know how long the stretch mark serum can stay before spoil?. Cells dying off sounds scary… but it’s a normal process. Without it, our bodies would be overrun with mutated, cancerous cells…which is bad. I really would love to try this, I have existing strech marks and would love to see them diminish 🙂 if I got all the iingredients in the standard smaller sizes how many 4oz bottles do you think I might be able to make? Thanks for the wonderful post! Could I replace the Neroli oil with something else? I am sure this is the perfect oil, but I just placed an order, and found this recipe after and will have to wait for the Neroli until next order (in a month or so). Thoughts on something else to get me by in the meantime? Was finally able to make this tonight because I have been waiting for some of my final ingredients to arrive! I’m very excited and hoping to see results. I did have a question though, any thoughts on how you deal with the oiliness of your skin after applying? It makes me hesitant to get dressed or lay in bed for fear of leaving oil marks. Has anyone found a solution to this problem? Thanks for the awesome recipe! Really Great serum for scars and marks. I made and used this serum for the first time today. I am a first time mother who is nursing. After nursing my daughter post serum use she became very fussy and screamed uncontrollably. Are any of the ingredients in this serum known to cause irritation in nursing babies?? Hi Jenni, just wanted to say I am so glad I found your post. 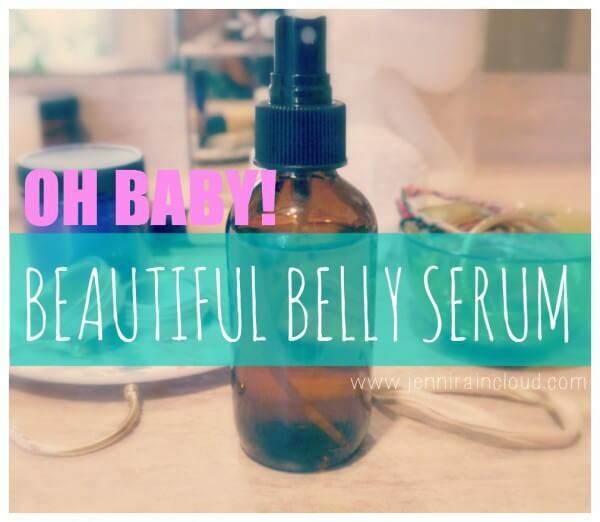 I’ve been using your serum for a year now and the newly developed stretch marks on my tummy are nearly completely gone! The ingredients are definitely expensive but a bottle of this lasts me a few months. Thanks for your advice! Dermelastic serum is the third product i am trying, as per my experience this product doing somewhat better compare with others i used previously. Myrrh EO really shouldn’t be used in any form by pregnant women. Here is a list (partial list) of essential oils that should NOT be used by pregnant women. Furthermore, even the ones that could be considered safe should not be used every day and not used at all in the first trimester. Please consider updating your post with safety information and removing Myrrh from your recipe.